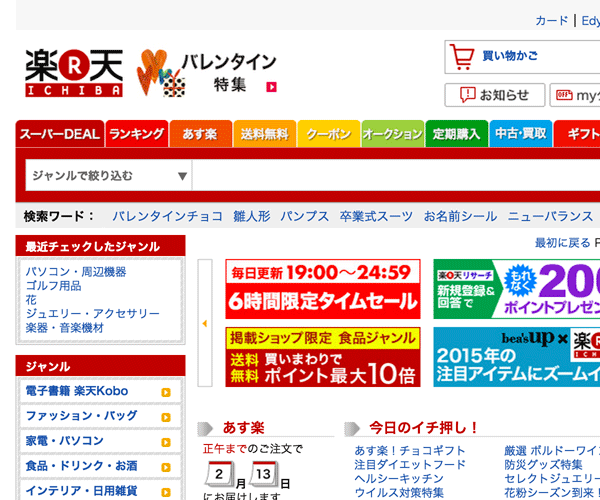 I've been learning Japanese for the last six months and I'm writing a couple of posts on how I'm going about it. My aim is both to help others who want to learn (whether they're friends who asked, or people stumbling on this article from Google), and to track my own progress. Japanese isn't the first language I've studied - I spent 6 months on exchange in France. I learned a lot, and my French improved significantly. 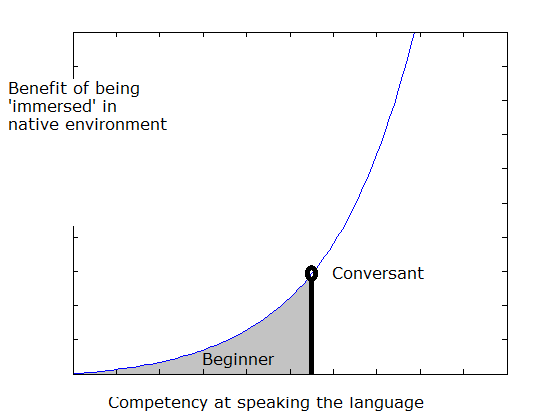 Ultimately I didn't become as fluent as I had initially hoped; 'conversant' would be generous. In this post, what I did wrong, what I learned from my French studies, and how I've taken that on board for my second language learning attempt. In the next article, I'll talk about different ways to approach studying Japanese, the methods I chose, and the resources I'm using. For most of my schooling career, I have rarely needed to actively memorize anything. I am lucky to have a good natural memory, and in addition, I studied maths and other technical subjects at uni. An experience that allowed me to bypass a lot of rote memorization because, in these subjects in particular, the best way to learn and gain fluency is through through practising example problems. When I tackled French, I didn't incorporate active memorization into my studies and my language learning suffered because of this. I think the key difference is that with maths I was used to being able to simplify things down to rule based logic, but languages aren't rule based and logical! They're built up over hundreds of years of history and every rule that might exist has an exception. I had difficulty with some parts of learning French, particularly common sticking points such as the different verb conjugations. These didn't fit into my 'rules/logic' based approach to life, and could've been more easily overcome by just memorizing the lists of conjugations. So taking that learning to heart, my plan for studying Japanese has included extensive memorization, and I think that applies to every language you might wish to study: Memorizing stuff is important for fluency. Mental Immersion - the amount of mental time you spend testing yourself, thinking in the language, translating sentences in your head. This is super important for language learning but doesn't require being in a native environment. This type of mental immersion is so key because without daily time 'immersed' in the language, you can't retain the things you learn or fluency when applying different grammar. Without enough fluency to converse you won't be able to learn the idioms - the differences in native to 'textbook' speech - or the comfort with extended conversations. And it's these where physical immersion really shines as the only way to gain that knowledge. This was the mistake I made going on exchange with such a basic level of spoken French; by having to spend time on learning the language at its most basic level I missed out on the 'learning by osmosis', the extra fluency that comes from seeing and hearing the language everywhere. To sum up - mental immersion is crucial right from the beginning and as you continue to learn the language. Physical immersion is always useful if you have the opportunity, but pays the biggest results when you're already conversant in the language. It isn't a magic bullet, and you still need to actively practice mental immersion whether you're physically immersed or not. I'd heard French was 'easy' but did not comprehend what that meant until starting on Japanese. It just seemed difficult to learn any new language. The first and biggest difference I encountered was a new writing system. Learning an entirely new script was a foreign concept to me when I started learning Japanese. When I learned French, I already had the writing system internalised. Sure, there are some funny marks on top of some letters and a different way of pronouncing some familiar words, but the alphabet itself doesn't change. 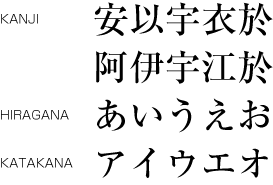 The vast number of different kanji makes learning to read and write the language a huge task, in addition to the already huge task of acquiring vocab and grammar. In fact, Japanese children learn several hundred kanji per year all throughout their schooling life, using rote learning to memorize over two thousand of them by the time they finish high school. Somehow, despite (or maybe because of?) the herculean task, Japan has one of the highest literacy rates on earth. Second, they also lend themselves to faster reading and comprehension skills overall; the two syllabic scripts help to contextualise and break up dense streams of kanji so that your brain can pattern match sentences. 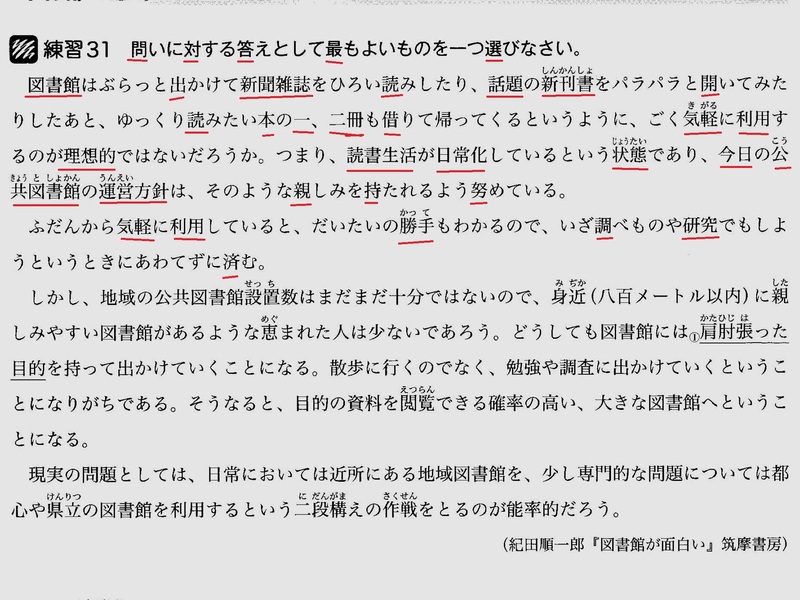 In the paragraph below I've underlined the kanji so that you can try to see what I mean. To someone with fluent comprehension the kanji are immediately discernible from the kana and enable faster comprehension of a sentence structure as a whole than English. The 'Foreign Service Institute', a defence related organization in the USA has a list of various languages, categorised by difficulty for an English speaker to learn. In the first and easiest category 'Languages closely related to English,' was French, at an average of 600 hours to gain 'General Professional Proficiency' in speaking and reading. In the fifth category, 'Languages which are exceptionally difficult for native English speakers,' was Japanese, along with a few other East Asian languages, clocking in at 2200 hours of study to gain the same level of proficiency. I can appreciate that difference now; after 200+ hours already invested in Japanese. During my recent trip to Japan I was still only scratching the surface of reading, and 200 hours is probably more than I spent in total studying French! Next, I examine the language itself and how I approached learning it. I manage a team of software engineers at AWS by day and spend the rest of the time reading, learning, and writing this blog. All views expressed are my own and in no way reflect those of my employer.